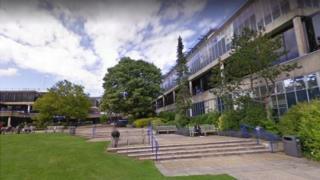 The chair of the University of Bath's governing council has said he is stepping down from his role. It follows a critical report of the way the university is run. The Halpin Review was commissioned by the university following a long-running debate about the vice chancellor's pay. Chair of council Thomas Sheppard said the university had accepted many of the review's recommendations, but he said he would leave his post by the end of the year. The council is the governing body of the university. Mr Sheppard said: "Council takes both the words in this report and the intent behind them very seriously and it will be making sure that care is taken to progress the recommendations effectively and without delay. "I will not be going as a result of this report... There are still some things I want to do, but when they are done I will move on." The report, by management consultants the Halpin Partnership, found that governance at the university required considerable improvement in order to restore the trust and confidence damaged by "recent events". Among the report's recommendations was a call for more staff, students and external experts to sit on the Remuneration Committee. In November last year the vice-chancellor stepped down following accusations of excessive pay. Lecturers had complained that her pay had risen much more rapidly than the salaries of university staff. According to the Halpin Review, the Remuneration Committee's reports to the university's council were not "detailed nor transparent" and had not paid sufficient attention to the public interest. But its authors said that they were confident that, if their proposals were accepted, this would change. Vice chancellor Dame Prof Glynis Breakwell is leaving at the end of the summer term.